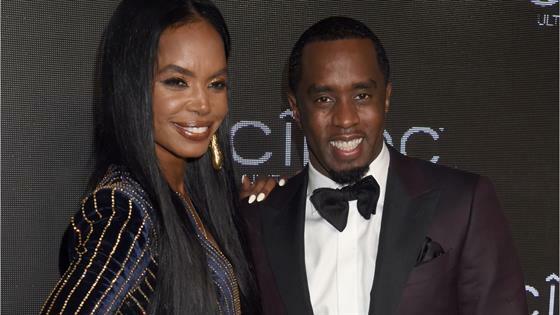 Sean "Diddy" Combsis mourning the death of his ex-girlfriend Kim Porter. E! News has learned the rapper and fashion mogul is "devastated" over the unexpected passing and is currently with his kids. During the nearly thirteen years that Kim and Diddy dated, they welcomed three children including Christian, 20, and 11-year-old twins Jessie James and D'Lila Combs. They officially ended their romantic relationship in 2007. We're told Diddy and Kim were more than friends. In fact, they were best friends and loved each other dearly. Ever after their breakup, they worked together as parents, friends and had a partnership. E! News has also learned everyone is devastated over the news especially because Kim was a really great mother who was respected by all those close to her. Kim was found dead in her Toluca Lake home on late Thursday morning. She was 47. Detectives told the media that police "do not suspect foul play." In addition, Diddy was "extremely cooperative and understandably upset" when speaking with detectives. "We may be apart, but we'll always be together as a family," Kim once shared with OK! magazine when discussing her bond with Diddy. "It's not a situation where two people break up and they can't stand each other. We're still friends so it makes for an easy breakup." "Kim is an incredible mother to our children. We've been part of each other's lives for many years and I have always admired her courage and strength," Diddy added in a separate interview with JET magazine. "We're the best of friends." In fact, Kim and Diddy came together for family night when they attended a special screening of The Holiday Calendar at the NETFLIX Icon Building one day before Halloween. Kim's son Quincy Brown stars in the film and was on-hand for the event. Diddy helped raise Kim's son Quincy, 27, from a previous relationship with singer/producer Al B. Sure. "@LadyKP #ForeverMyLady," Al shared on Instagram Friday morning. For now, a source tells E! News that Diddy is trying to "figure out the next steps for his children. He's very heartbroken." And regardless of what you read, our insider shared that Diddy and Kim had maintained a great relationship over the years and were great co-parents. "Despite their differences, they always made things work for their children," our source added. Our thoughts continue to go out to the family.